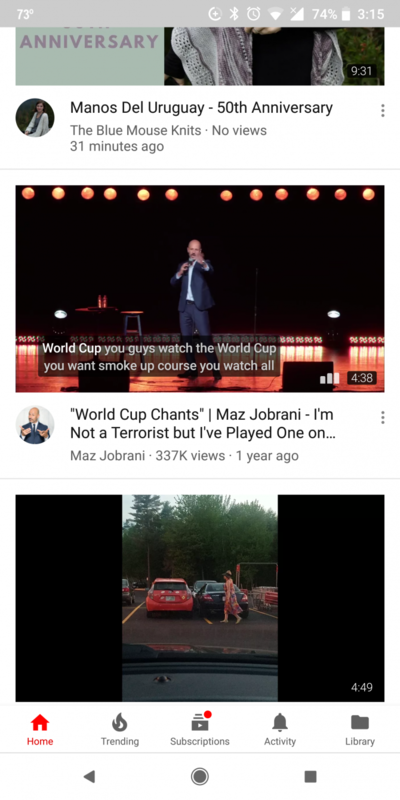 YouTube recently rolled out a new feature to its Android app that can get pretty annoying: auto-playing videos in the home feed. You may have noticed that as you scroll through your YouTube home feed in the Android app, videos automatically start playing while muted. The feature is similar to when you hover over a video on a YouTube video thumbnail in your browser and it loops a few seconds of the content. Except on your phone, it just keeps going and adds closed captions. So, technically, if you’re a glutton for punishment, you could just watch that tiny video from the home screen, without the audio and read the captions instead. While some people like it and it might be a useful way to see the first few seconds of a video and decide if you want to watch it or not, here are some complaints worth noting. If you decide to watch the video, you’ll have to scrub back to the beginning of the video if you want to see it with sound. It can drain your battery. Most significantly, if you watch for too long (which by YouTube’s standards appears to be over 10 seconds) the video is added to your watch history. By adding these videos to your watch history, it means that pausing for a few seconds too long while scrolling could also adversely affect your YouTube recommendations. Tap your profile picture in the top right corner. Tap Settings > Autoplay > Autoplay on Home. You can either select Off to turn it off entirely, or Wi-Fi only to ensure that it doesn’t eat up your data. 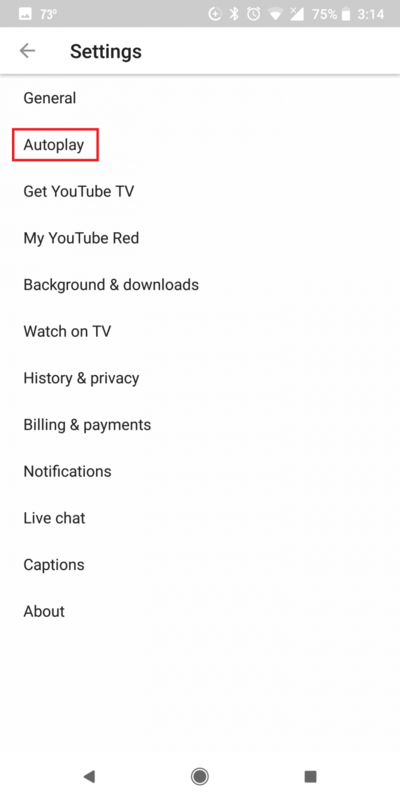 While we may not be fans of this feature in particular, there are a ton of other great features packed into the YouTube Android app The Best YouTube Tricks and Tips for Android The Best YouTube Tricks and Tips for Android The YouTube app for Android can do a lot more than you might think. 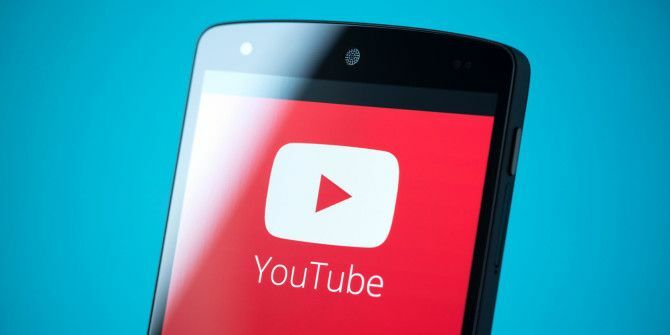 Here are a few of our favorite YouTube tricks and tips for your phone. Read More that are worth checking out. If you’re looking for more YouTube tips, check out this post on how to share YouTube videos quickly. Explore more about: Troubleshooting, YouTube. The problem I'm finding on my s8 is this: I turned off autoplay in settings and it STILL has made NO difference!!! Wtf?! Very infuriating. THANK YOU. That feature was nice up until I realized I had to rewind to the beginning if I clicked on the video. After the first 5 mins it was just a nuisance bc I wanted to see the thumbnails and read the titles but the video would play and be distracting. I'm so glad theres a way to turn it off. Enter incognito mode. Check the settings once in incognito mode. 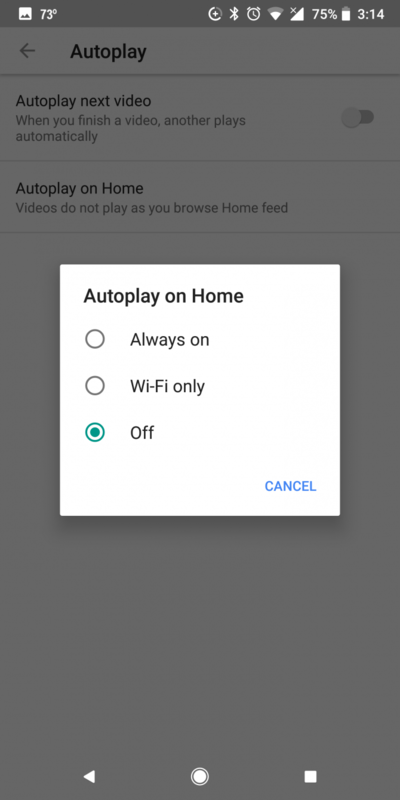 The option to turn off auto play on the home screen is now available. Turn that bad boy off. Exit incognito mode. Enjoy no autoplay on the home screen. Giddy up. So when is the Autoplay on Home option going to show up on my Android device? That autoplay on home feed is driving me nuts. So annoying!!! I don't have the Autoplay on Home setting. Me neither - its SO annoying !!! !